The Matte finish is obtained by a chemical treatment. The beads are then sprayed with wax. It is bellieved that these stones have the ability to absorb negative power and are considered good for protection. 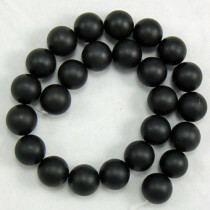 These beads are solid matte black - really great for mixing or using with silver. Black Stone (Matte) Round 4mm (~100pce Strand) - 40cm /16'" Strand. 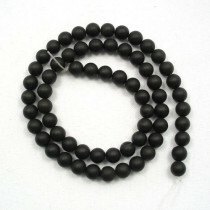 Black Stone (Matte) Round 6mm (~66pce Strand) - 40cm /16'" Strand. 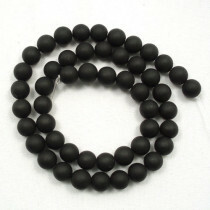 Black Stone (Matte) Round 8mm (~50pce Strand) - 40cm /16'" Strand. 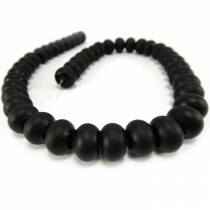 Black Stone (Matte) Round 10mm (~40pce Strand) - 40cm /16'" Strand. 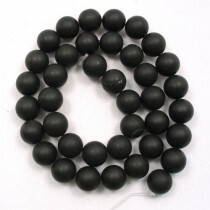 A-Grade Black Stone (Matte) Round 12mm (33pce Strand) - 40 cm /16'" Strand. 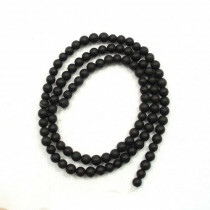 Black Stone (Matte) Rondelle 9x12mm (~46pce Strand) - 40cm /16'" Strand. 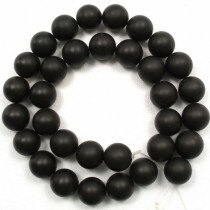 A-Grade Black Stone (Matte) Round 14mm (~28pce Strand) - 40cm/16'" Strand. 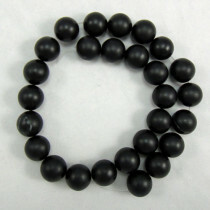 A-Grade Black Stone (Matte) Round 16mm (25pce Strand) - 40cm/16'" Strand. 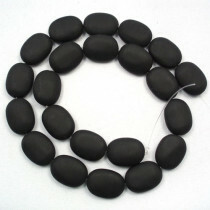 A-Grade Black Stone (Matte) Oval 13x18mm (22pce Strand) - 40 cm /16'" Strand.